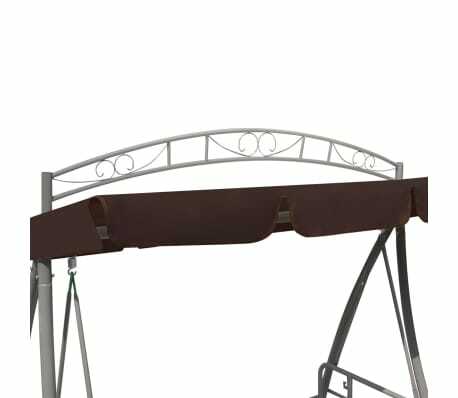 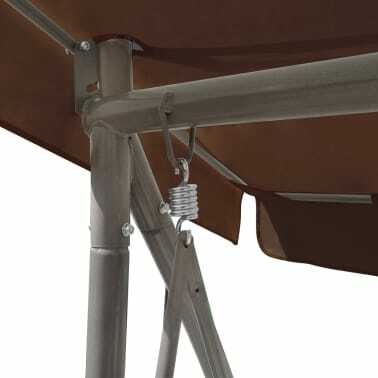 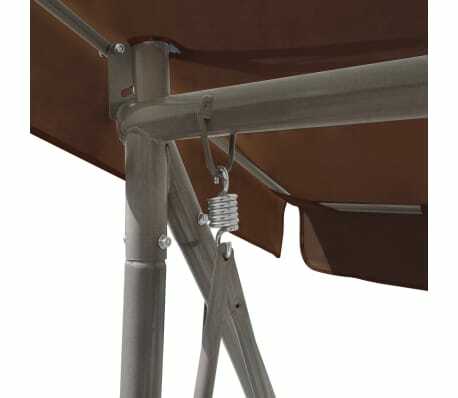 Seat height from the ground: 1' 6"
Can be converted into a bed: 5' x 3' 3"
This quality swing chair, including a large cushion and a canopy, will be a real eye-catcher to wherever it goes. 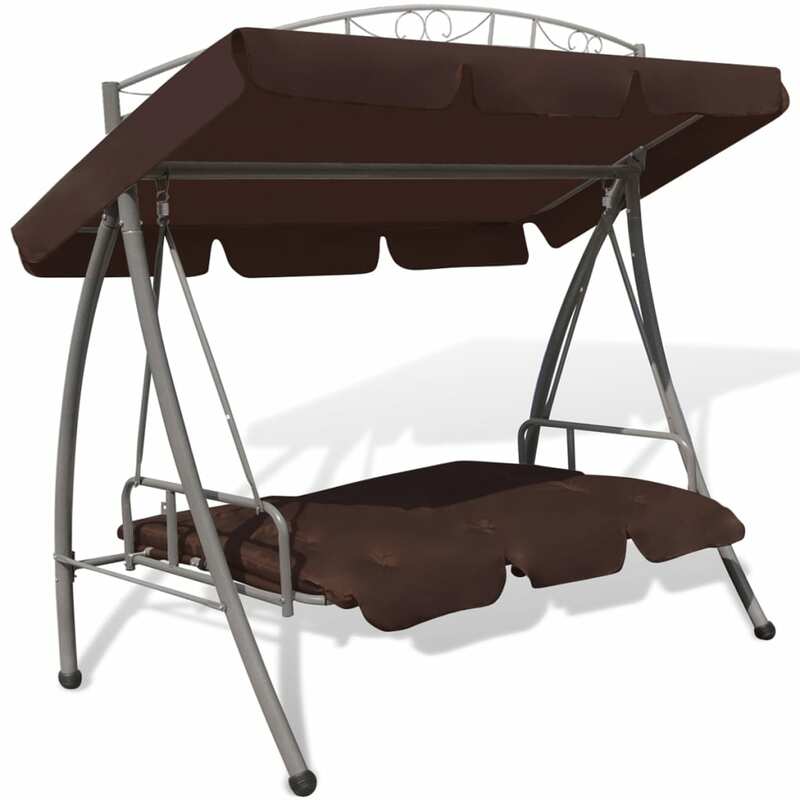 It is a perfect choice for relaxation, or to have fun with your families in the garden, backyard or balcony. 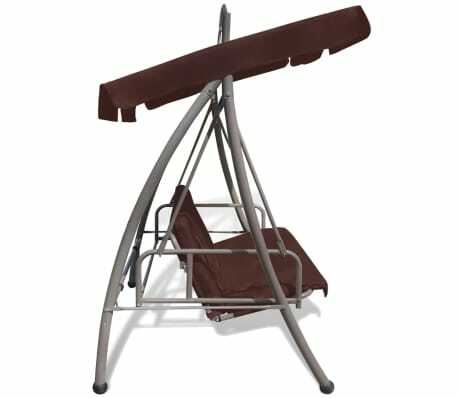 The powder-coated steel frame brings super stability and ensures the swing chair a long service life and excellent durability. 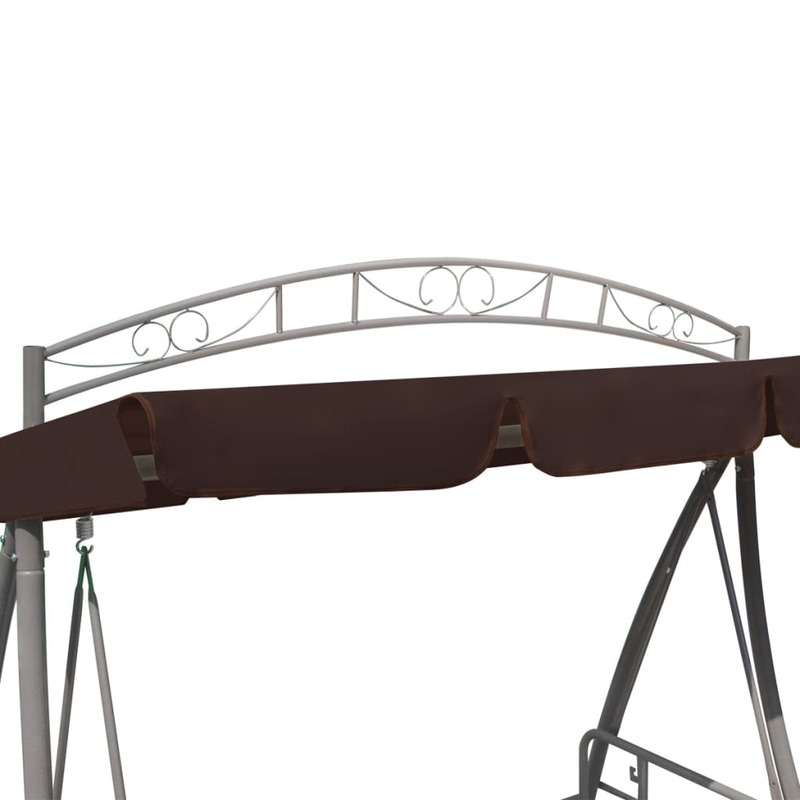 The patterned arch will surely be the icing on the cake. 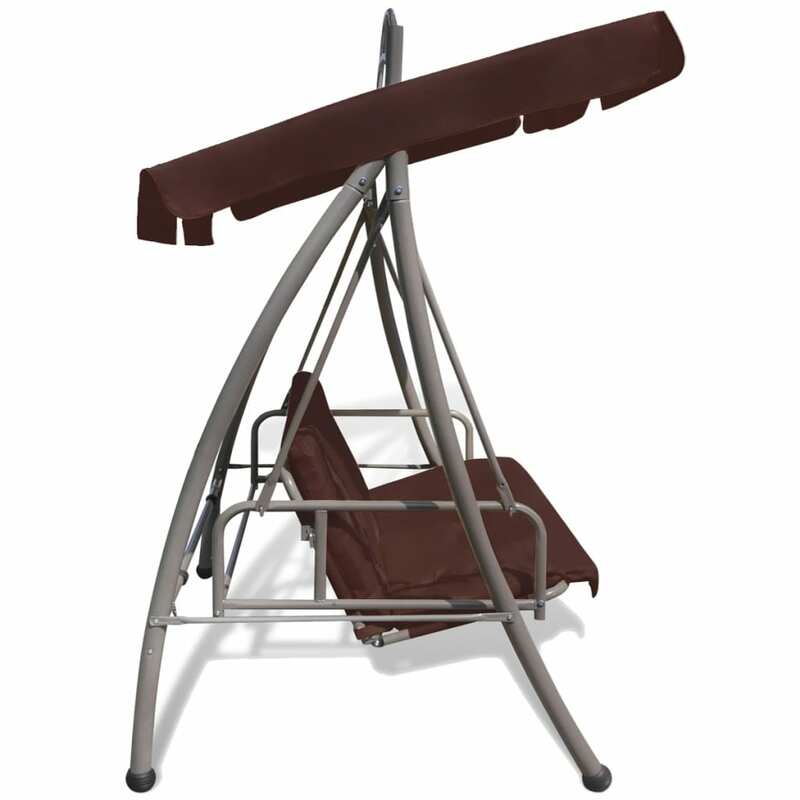 The soft seat and back cushion, made of anti-fade and waterproof polyester, will undoubtedly offer optimal seating comfort. 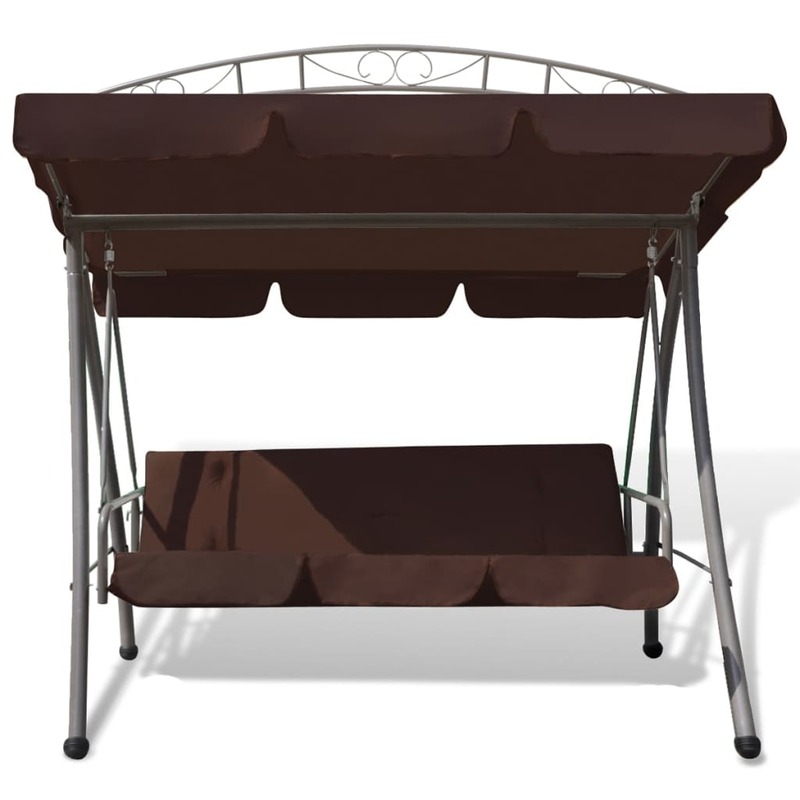 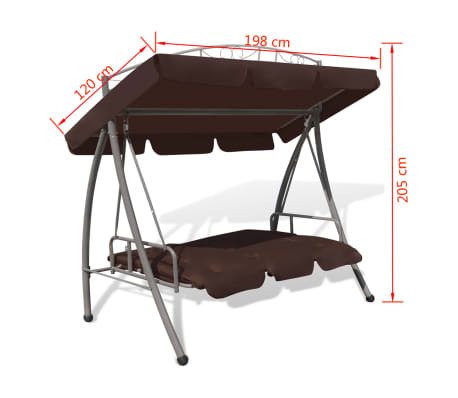 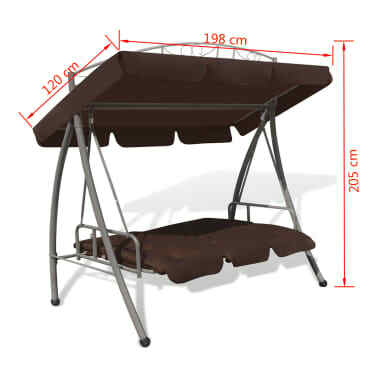 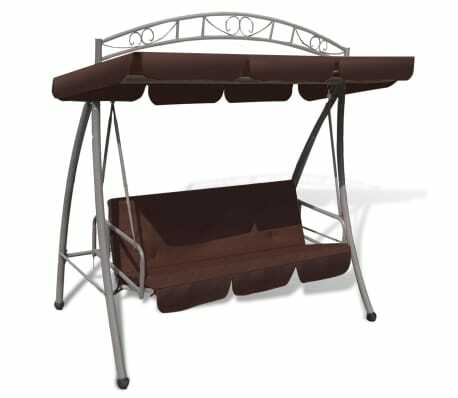 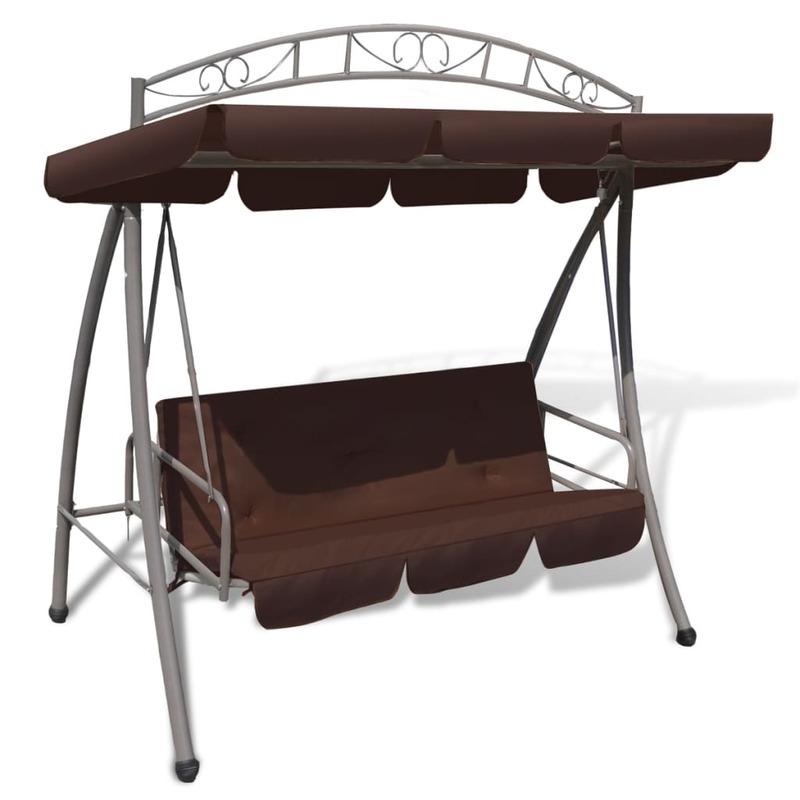 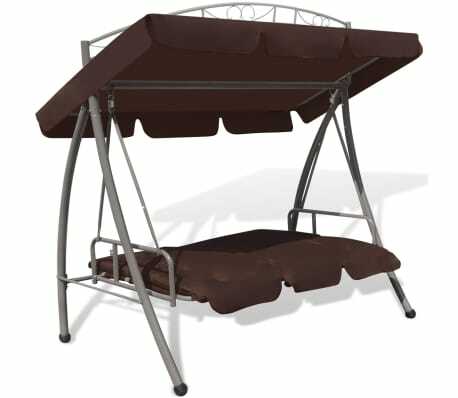 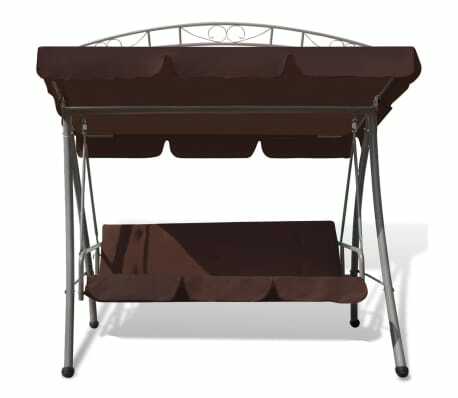 Delivery includes 1 x swing chair, 1 x cushion and 1 x canopy.